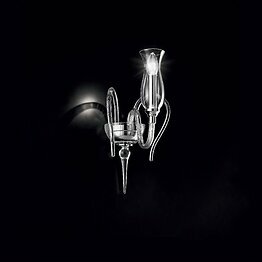 We present our Wall lamps, entirely handmade, in the page of each Wall lamp you will find the perfect match with our chandeliers, to simplify the choice and to be sure of a perfect match! 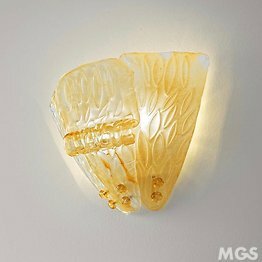 Amber wall light, mesh working. 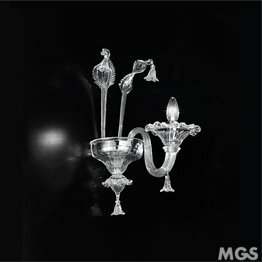 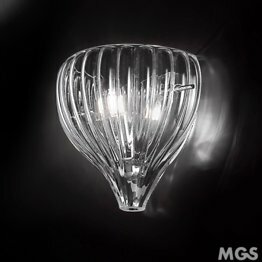 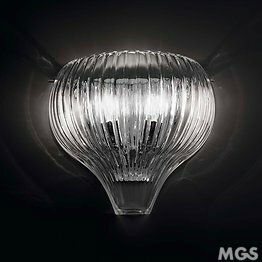 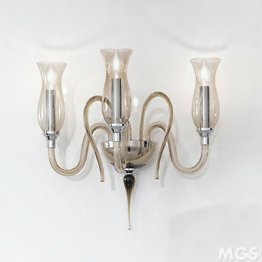 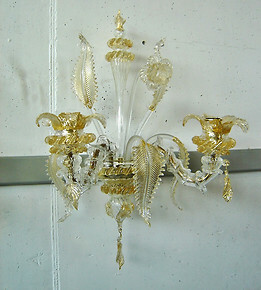 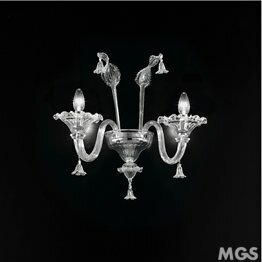 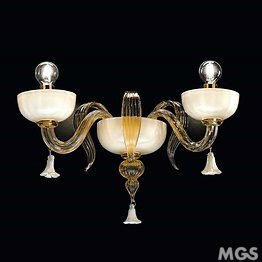 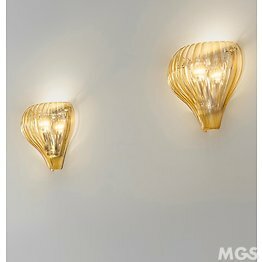 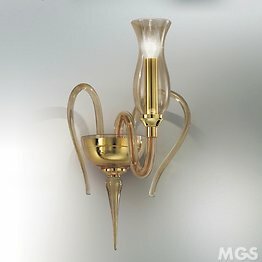 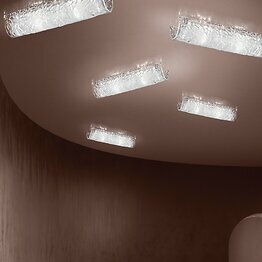 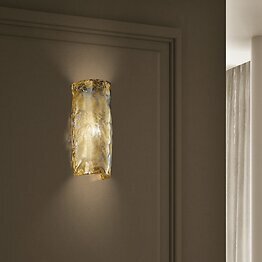 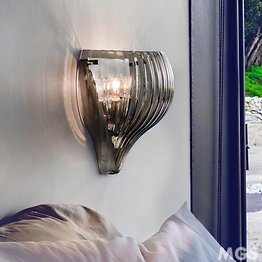 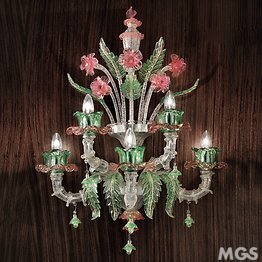 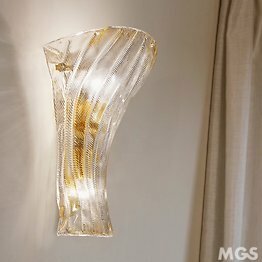 Light up the hallway or bedroom with wall lighting from the MGS. 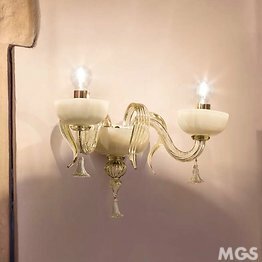 Our wall lamps are enchanting and offer a design that will enrich your home. 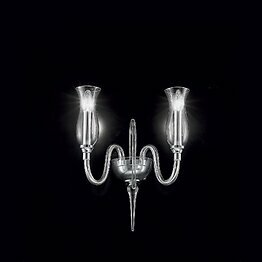 They are available in combination with our table lamps, chandeliers and floor lamps to create a coordinated look. 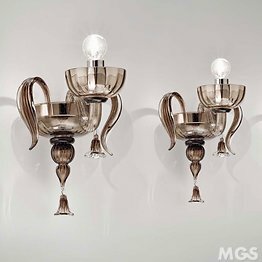 Our wall lamps are real luminous works, created starting from the unmistakable Venetian classic style reinterpreted and modernized you know our designers. 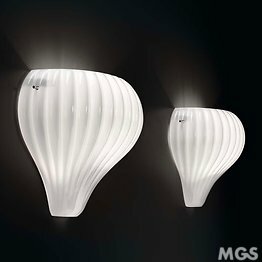 An wall lamps where a light from a different perspective compared to other light sources, eliminating shadows and giving an atmosphere bright more engaging and warm. 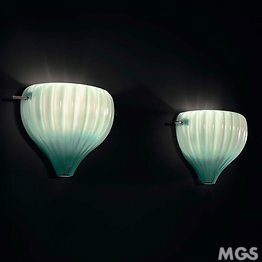 Like all MGS products, even wall lamps do not allow for compromises, the materials used to create them are simply the best available, an example? 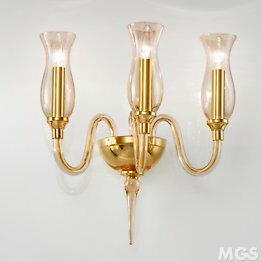 the colors made using natural minerals that interacting with each other create magnificent natural-looking colors and with a thousand different shades, wary of low-cost products, they will certainly be cold-painted, highly polluting procedure for both the environment and the air that you will breathe in the house because all the varnishes emit VOC (Volatile Organic Compounds) very dangerous. 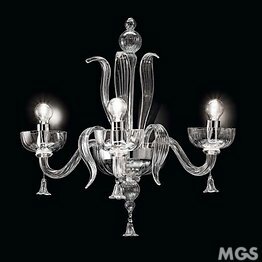 Even the metal parts and the frames are made with the same attention, the galvanization for example is entrusted to our partners with certifications environmental at the highest levels. 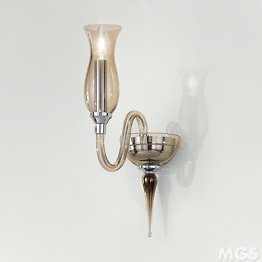 We have many styles available, ideal for every room in our home and for the furniture at our disposal. 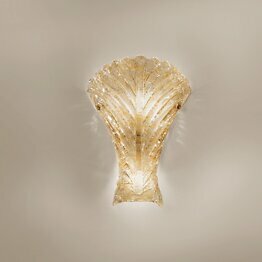 Wall lamp in Bohemia or leaf style for a classic setting or monolithic ceiling lamps for a modern environment, in any case even the classic style products can be perfectly inserted even in modern environments to create the contrast necessary to break the monotony, you will appreciate the style of our applique in every context.